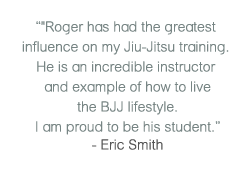 Are you looking to advance your training and understanding of BJJ? 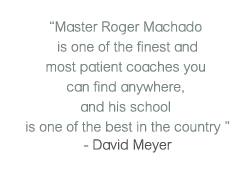 Professor Roger Machado’s extensive 40+ years experience practicing Brazilian Jiu Jitsu with the pioneers of the art can help you to break through your plateaus and accomplish your goals. Holding the rank of 6th degree Black Belt with over 25 years teaching experience at the Black Belt level, Professor Roger Machado's depth of knowledge and experience in BJJ is simply unmatched in the San Gabriel Valley and North East Los Angeles areas. Are you interested in BJJ Competition? The RCJ Machado Pasadena competition team competes at most of the major competitions, working with one another to be stronger and more technical, and winning medals in competition. No matter your goals, RCJ Machado Pasadena is the right place for any belt rank to train and better yourself, both on and off the mats. Competitors, athletes, and hobbyists are right at home at RCJ Machado Jiu Jitsu Pasadena. To try a free class and experience the RCJ Machado Jiu Jitsu difference, click on the link below!